BRYAN EATON/Staff photo. 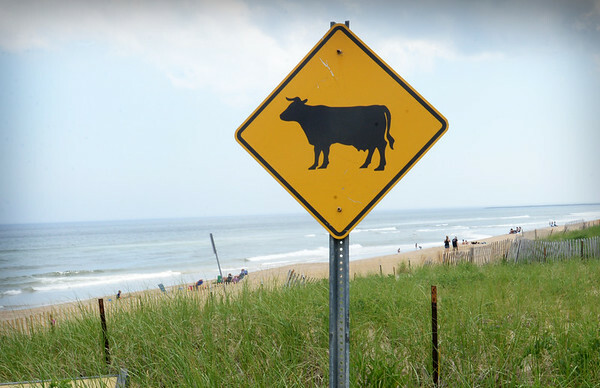 Despite a sign warning of bovines in the area of Ocean Front South at Salisbury, the only animals spotted were seagulls and a dog or two. However, there are sometimes horses and riders moving along the waterline.